A3 | 1 & 2 bedroom apartments for rent at Midwood Station. The incredibly unique layout of the A3 floorplan allows for a sizable bedroom and a large bathroom and walk-in closet as well. 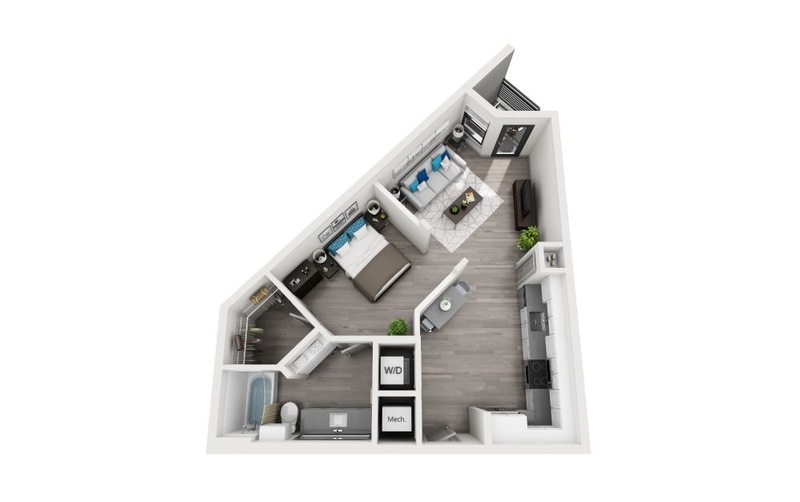 This floorplan gives you all the space you want in an apartment.